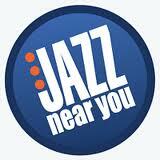 Jazz Near You is a worldwide calendar for live jazz events. The app is growing more and more in Kansas City and we need your help to expand it even further! Using Jazz Near You’s simple upload system, we will gather once a month to upload all of the live jazz events around Kansas City to the Jazz Near You app! We would love to work with you! You can help us achieve our mission; to raise the tide that lifts all jazz boats. This entry was posted in Awareness, Exposure, Jazz, Musician, Venue. Bookmark the permalink. ← 48-Hour Art Sale Benefiting KC Jazz ALIVE!